An active and vibrant Reform Jewish Congregation, Beth Israel is built on a rich legacy of more than 160 years in Houston and Texas. We welcome all, and strive to be inclusive and meet the needs of our diverse congregational family, Jewish and non-Jewish family members, alike. At Beth Israel, you can feel at home and inspired to explore and find the joys of Jewish learning and living every day, wherever you are on your path. With over 1,600 member households, Congregation Beth Israel is large enough to provide extraordinary opportunities and small enough to care very deeply about each of our families. Congregation Beth Israel is fortunate enough to have members with many different strengths and experiences. 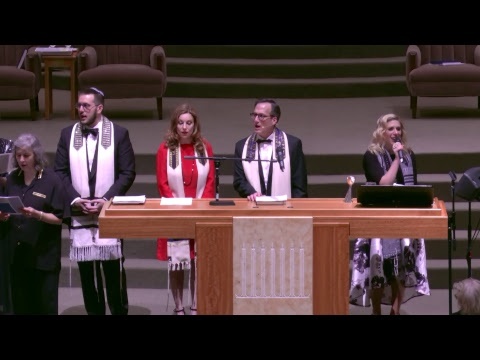 Our well-established congregation is open to all who wish to join our Houston reform Jewish Synagogue, and we value building the spiritual growth of our community. We hope to help both members and non-members alike through ample means of support, fellowship, and volunteer opportunities. Become a Member OR Have any questions? Are you interested in joining a reform Jewish congregation? We welcome you to attend one of our many events, religious services, and classes. We also provide programs, activities, and other opportunities for all ages and interests. Through Congregation Beth Israel, you can find your niche and build meaningful, lasting relationships. Contact one of our members today.